DONCASTER ROVERS manager Sean O'Driscoll is set to open talks with former Burnley and Bournemouth midfielder Garreth O'Connor next Monday as he aims to bring fresh blood into the Keepmoat Stadium before his side starts their new life in a new division. O'Connor played under O'Driscoll at Bournemouth before Steve Cotterill took the left midfielder to Turf Moor along with fellow midfielders John Spicer and Wade Elliott. Spicer and O'Connor have since been released by new manager Owen Coyle and O'Driscoll doesn't look set on missing out. The Irishman scored seven times in his first season in East Lancashire featuring in 38 games and being a main feature of the Burnley team, being deadly from set pieces inclusing free kicks, penalties and corners, but was frozen out in his second season as Steve Jones signed from Crewe Alexandra. Before the move O'Connor had made over 160 appearances on the coast whilst at Bournemouth scoring 24 times and becoming his side's penalty and free kick specialist. Bust five substitute appearances in both the 2006/07 and 2007/08 season followed and ultimately the Irish talent left the club, but is due to arrive in Yorkshire on Monday morning for talks over a one-year deal at the Keepmoat Stadium, but Doncaster will have to face tough competition for his signature. Leeds United who missed out on Promotion at Wembley with defeat against Doncaster are also said to be interested along with Leicester City who will be looking for an instant return to the Championship following relegation from the Championship on the last day of the season. 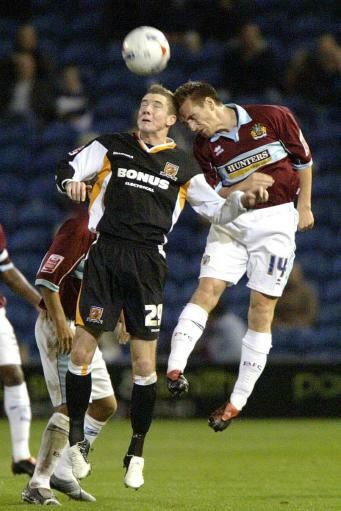 O'Connor started the 2007/08 season on loan with former club Bournemouth but after just eleven appearances due to a season plagued by injury the versatile attacker returned to Burnley, where he was handed his first squad number of the season when Coyle took over the club.